The first and the most precious wealth is health and to protect that wealth digital techniques are supplementary to the traditional methods of medical treatment. The three verticals for the future will be based on automation, digitization and analytics. This implies there must be trained personnel, who can handle the modern digital weapons of health protection, mitigation and detection. Maulana Abul Kalam Azad University of Technology (MAKAUT), West Bengal is dedicated to this skill development and is introducing a new course on digital health. 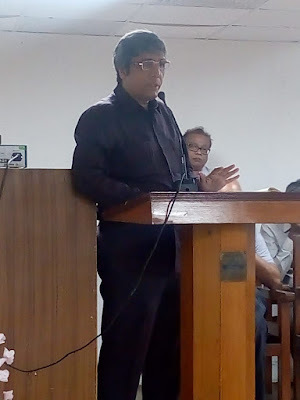 This was announced recently at a workshop organised by the University at its Salt Lake Campus At the outset, certification and PG diploma courses will be introduced and after that full fledged three year will be started in a modular manner, as pointed out by the Hon'able Vice Chancellor of the University, Prof. Dr. Saikat Maitra. He said, "We have introduced Digital Pedagogy in the teaching-learning process. The latest addition is digital health, a course on which is not available in this part of India." Prof. Maitra firmly believes that a digitized healthcare system can specially take care of the ageing population in India. Digitized Healthcare system always has innovative ways for monitoring personal data for self-management. Prof. Maitra pointed out, MAKAUT is very happy that entrepreneurs in the field of Digital Health are coming into partnership with the University for Certification and PG Diploma Courses. In his words, "We also want to introduce full-fledged three-year programme in this area in a modular manner." Professor of MAKAUT Dr. Indranil Mukherjee has rightly pointed out,"Good health is an important leverage of the nation. That is the objective behind all these initiatives of the University. The Registrar of MAKAUT, Prof. Dr. Partha Pratim Lahiri commented that hospital is now a digital world. Prof. Sibamoy Dasgupta also stressed the importance of Digital; Health. On behalf of Peerless Hospital, Dr. Subhrojyoti Bhowmick mentioned that the hospital is looking forward to an academic and research collaboration with MAKAUT in the field of Digital Health. The workshop was organized by MAKAUT, WB in collaboration TRINNECT Ltd. Finland. The Managing Director of Trinnect Ltd, Dr. Shyam Chakraborty and Dr. Supten Sarbadhikari, an expert in the field of Digital Health graced the occasion. Both of them emphasized on the growing importance of digital techniques in healthcare. Dr. Sarbadhikari observed that India csn be a leader in Digital Health. Thus MAKAUT's initiative in incorporating courses in Digital Health is definitely a right step forward. Maulana Abul Kalam Azad University of Technology (MAKAUT), West Bengal is a renowned doorway to guide the students towards acquiring the right knowledge suitable for choosing the right career. This choice is naturally different for students coming from different strata of society. MAKAUT has its solution ready for every category of student due to a varied number of courses available in its basket. The University has also launched its new Three Years' Vocational Courses (B-Voc), designed to expand the career options for the students, so that they can understand and magnify their strengths in building their future. 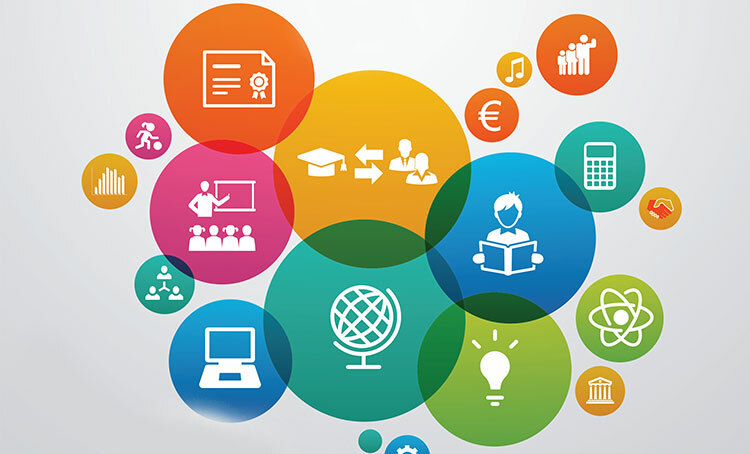 The new vocational courses (Affiliated to MAKAUT and approved by UGC/AICTE) open up different bachelor degree domains which include Travel and Tourism, Medical Lab Technology, Medical Imaging Technology, Banking-Financial Services and Insurance (BFSI), Hardware Networking, Refrigeration and Air Conditioning, Interior Design, Automotive Manufacturing Technology, Retail Management, Industrial Tool Manufacturing, Renewable Energy, Electronic Manufacturing Services, Animation, Beauty and Aesthetics, Theatre Studies, Fashion Designing, Catering Technology and Hotel Management etc. Eligibility criteria for admission to these subjects are 10+2 or equivalent. It is also important to note that there are provisions for exit from a course at the end of completion of first and second year of their studies with diploma and advanced diploma respectively. Travel and Tourism management professionals manage the accommodation, travel modes, tour programme and overall stay of tourists in India and abroad. By studying this course, students can enter the Hospitality Industry, Transport and Cargo Companies, Forts/Resorts based tourism industry. They can work with Tour Operators, Immigration, and Customs Services, Ticketing Agencies, Hotels and Allied Service Industries, Travel Agencies and different Tourism Departments of the Government and Private Companies, Airlines, Food Industry, Transport Corporations etc. • Medical Laboratory Technology: A medical laboratory scientist (MLS), also traditionally referred to as a Clinical Laboratory Scientist (CLS), is a healthcare professional who performs chemical, haematological, immunologic techniques, histopathology, cytopathology, microscopic and bacteriological diagnostic analyses. Students pursuing this course will find employment opportunity in hospitals, medical pathology labs, research labs, private laboratories. Moreover, they can also find jobs in research institutes, forensic laboratories, pharmaceutical companies and similar organizations. • Medical Imaging Technology: Students opting for this course have a wide prospect in future, since it is associated with medical treatments with the help of X-Rays, Radiography, Endoscopy, Ultrasonography etc. Graduates in Medical Imaging Technology can pursue their careers as Radiographers, Ultra-sound Technicians, Medical Image Analysis Scientist in hospitals and so on. • Automobile Servicing Technology: India is expected to emerge as the world's third-largest passenger vehicle market by 2021 and a leader in two-wheeler and four wheeler market by 2020. A career in Automobile Servicing Technology will allow students to find opportunites as Automobile Technicians, Warehouse Manager, Automobile Sales Manager and so on. • Banking, Financial Services and Insurance (BFSI): Banking Finance Services and Insurance sector in India is valued at Rs. 81 trillion and is likely to become the fifth largest in the world by the year 2020 and the third largest by the year 2025. Students proceeding with this course can accomplish as skilled professionals in Retail Banking, Private Banking, Corporate banking, Investment Banking and similar sectors. They can also act as sales executives or agents in the insurance sector, stockbrokers etc. • Hardware Networking: Computer Hardware is the combination of physical components or parts that make the computer system. Students exploring this subject can find jobs as systems engineer, design engineer, systems administrator etc. including private and public sector banks, financial institutions, educational institutions etc. • Refrigeration and Air Conditioning: This is the subject which deals with the techniques to control the environment and thus provide comforts to individuals as well as help in the maintenance of machines to enable them to perform better and have longer lives. The course provides the students an opportunity to work in reputed Refrigeration, Automobile Companies, Cold Storages etc, as well as choose self-employment as a career. • Interior designing: Interior designing nowadays is no longer a luxury, but has evolved to become a necessary amenity in modern days. The course includes Elements of designing, Orthographic Projection, Construction Techniques etc. Students can seek job opportunities in various architectural and real estate firms, event management companies, healthcare and retail industry, hospitality, furniture companies etc. • Automotive Manufacturing Technology: The future of automotive manufacturing is likely to focus on key terms such as Produce on demand, Process Standardization & Integration and Integrated Logistics. Employment opportunities exist in private national and multinational automobile companies, service stations, private transport companies, defence services, and the scope of self-employment by setting up a maintenance workshop is also open to the students. Retail Management: Retail Management is one of the fastest growing careers in India. This sector is providing 2 million job opportunities across the globe. The course aims to explain the effective methods and strategies required for retail management, understand how to utilize resources and techniques used in retail management, understand the analysis of store location, merchandising, products and pricing etc. This course will help the students seek employment opportunities as a Retail Manager, Store Manager, Merchandiser, Marketing Executive, Department Manager, Warehouse Managers etc. in retail firms. • Industrial Tool Manufacturing: Industrial Tool Manufacturing offers different prospects across the globe. The course gives an overview of engineering drawing, different manufacturing processes, the concepts and principles used in machine tool designing, testing the performance of industrial tools etc. Every industry needs tools manufacturers, therefore, students pursuing this course can avail employment opportunities in a wider field in India and abroad. • Renewable Energy Management (REM): Renewable Energy Management course covers numerous areas like Solar Radiation and Energy Conversion, Fundamentals in Technology, Thermodynamics, and Turbo Machinery, Bio Energy and Geothermal Energy etc. A student of REM can become an Energy Analyst, Area Inspector, Device Manager or work in Analytics Technology and Energy Management etc. • Electronic Manufacturing Services: The course includes various concepts and principles of working of basic electronic devices and circuits, the concepts and principles used in radio/audio/video systems and communication devices and its maintenance etc. The Indian electronics industry is one of the largest and fastest growing industries in the world. Hence this course will enhance job opportunities as a Manager, Sales and Marketing Manager, Service Manager in Electronics, Production Supervisor Electronics, Quality Control Head, Electronics Service Engineer, etc. • Animation: The syllabus educates the students in animation, Visual Effects (VFX) and post-production in film processing to foster creativity, skills mastery, professionalism etc. In this field there is no dearth of talent in our country, but due to lack of proper course curriculum, we have not been able to compete with the western world. The primary aim of MAKAUT is to bring the level of animation at par with the best available technology. Students can find employment opportunities as animation artists, graphic designers, freelancers, etc. • Beauty and Aesthetics: This course caters to the needs of beauty care domain. It will train the students in non-clinical aspects of cosmetology. Beauty professional courses are in very high demand nowadays and students pursuing this course can explore job opportunities in a salon or spa, as a beauty and skin specialist. • Theatre Studies & Acting: The B voc course in Theatre Study and Acting includes topics like Theatre Techniques and Designing, Study of Theatrical Script and Play. The objective of the course is the development of the intangible concept of creative imagination and its expression within the collective framework of a group. The students will get an opportunity in the Film and TV Media in addition to the Group Theatre activities. • Fashion Technology and Apparel Designing: The students gain insight into the broad spectrum that Indian fashion industry comprises of, with a view to improve their knowledge and overcome the practical challenges therein. Relevant human resource will be necessary for the upcoming high rise in the fashion industry segment. • Catering Technology and Hotel Management: This programme helps students to meet the industry’s need for competent hospitality professionals. It creates opportunities for students to improve their technical and management skills to develop and create a sound basis to build career in the field of catering and hotel management. Students seeking this course can find employment opportunities in Travel & Tour Companies, Academic Institutions, Transportation, Airlines, Healthcare Industry, Hotels & Holiday Parks etc. Gurunanak Inst. Of Pharmaceutical Sc. & Tech. The Hon'able Vice-Chancellor of MAKAUT is of the opinion that, these vocational courses will equip the students to prosper in their future career in varied fields. Again, if somebody wants to pursue higher studies and even research in these areas, they are most welcome. The University is always ready to guide the young generation in their path to career development and that will in turn help MAKAUIT realize truly its objective, 'In Pursuit of Knowledge and Excellence'.